Careers at C&J Bus Lines – Come join our C&J team! Founded in 1968, C&J Bus Lines has become a regional icon, providing unique, safe, and dependable transportation to over 700,000 passengers each year. 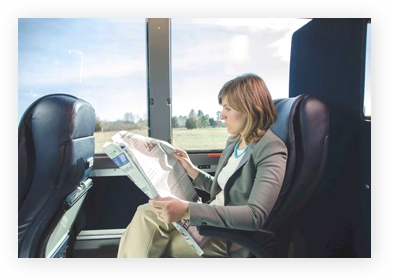 C&J offers daily bus service from NH’s Seacoast area and Newburyport, Massachusetts to Boston’s South Station and Logan International Airport. 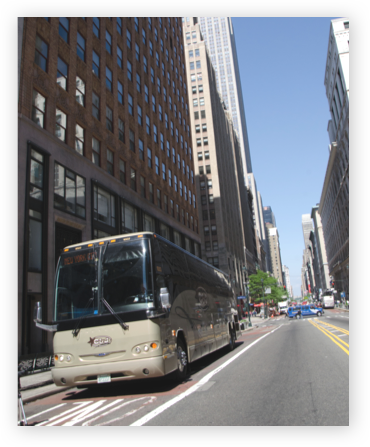 The company also provides daily executive class service from Portsmouth, NH, Tewksbury, MA, and Ogunquit, ME (seasonally) to the Port Authority in New York City. C&J operates a fleet of 30 motorcoaches from our state of the art maintenance facility in Rollinsford, NH and has its business offices in Portsmouth. We are a customer-focused company that has enjoyed success through our family of great employees. We offer excellent wages, and great healthcare benefits for you and your family, and one of the best 401k programs in the Seacoast! If you’re tired of empty promises, poor benefits and flat rate wages then its time for a change. Come work for a company where you can make a difference. C&J, one of the largest inter-city bus lines in New Hampshire has a full-time opening for a customer service attendant/ valet team member in it’s Newburyport location. If you are looking to work for a company that is employee and customers focused, C&J has an opportunity for you. The Customer Service Attendant performs a variety of tasks in support of C&J’s Newburyport location, including answering phones, selling tickets and moving valet vehicles. You are responsible for providing a superior and exceptional experience for every C&J passenger. This position reports directly to the Newburyport Agency Manager and shifts run Sunday and Monday 1:00-9:00pm and Tuesday through Thursday from 2:00-7:30pm valet shifts. General knowledge of the use of technology to include point of sale system, valet software, company smartphone, and Internet searches. Self-motivated, working in a fast pace environment, with the ability to multitask. Must be able to lift a minimum of 25 lbs. C&J, one of the largest inter-city bus lines in New Hampshire with a state-of-the-art modern garaged fleet, has full and part time openings for qualified Operators. If you are looking to work for a company that is employee and customers focused, C&J has an opportunity for you. We are now accepting applications for full and part time Motorcoach Operators from experienced, customer service focused drivers. Operators are responsible for providing a high level of customer service and safety to all of our passengers. Operators must safely operate a 40-45-foot motorcoach anytime during the day and in varying weather conditions. Operators must also be able to lift/ load luggage for our passengers. The ability to lift 50 lbs. C&J, one of the largest inter-city bus lines in New Hampshire with a state-of-the-art modern garaged fleet, has full-time opening for a qualified Reconditioner. If you are looking to work for a company that is employee and customers focused, C&J has an opportunity for you. We are now accepting applications for full and part time Motorcoach Operators from experienced, customer service focused drivers. Clean and maintain motor coaches used on a daily basis. Clean interior and exterior and perform minor servicing of motor coaches, inspect motor coaches for damage or service needs. Drive coaches between and into transit buildings for cleaning or storage. Work is performed according to established routines and procedures. This is a full-time position, Tuesday through Saturday 6:30 PM to 3 AM each day.